Medical device startup streamlines operations with an effective PLM solution. 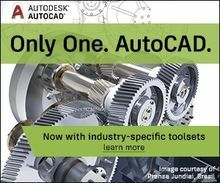 In this 40 minute session IMAGINiT expert Ryan Wunderlich takes you on a tour of the many enhancements in Autodesk® AutoCAD® 2020. During this webcast, IMAGINiT expert Ed Gillman explored the CAM tools available in Fusion 360 and how you can use them to setup, program, and simulate 2D machine toolpaths, generate 3D machine toolpaths, create 5-axis toolpaths and more. In this one-hour session, Joe Eichenseer and Matt Mason share tips, tricks and best practices for using IMAGINiT Clarity. During this webcast, IMAGINiT expert Caleb Funk explored the top pitfalls and possibilities for Autodesk Vault, and how you can begin maximizing your data management software today. This tech tip covers how to create special dimensions for Autodesk Inventor drawing details. Join Randy McCollum in this 40 minute video and learn how to convert a sanitary gravity network from Civil 3D directly into a Storm and Sanitary Analysis model. Then, we will include the flows, pumps and other features before finally running our model and examining the results. During this webcast, IMAGINiT expert Wyatt Schurkamp explored the Frame Generator and how you can begin leveraging it in your designs today. 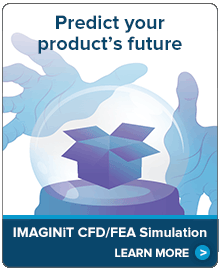 During this webcast, IMAGINiT expert Caleb Funk explored the top 5 user fails for Autodesk Inventor and how you can overcome them.